Maintaining Focus and Mental Clarity with Essential Oils It’s easy to remember to take care of your physical needs, but have you ever considered the importance of tending to your psychological health? In this video Mariza Snyder, doTERRA® Wellness Advocate discusses a few elements of brain health. Brain health refers to the ability to remember, learn, play, concentrate and maintain a clear, active mind. Mariza shares her favorite essential oils that help her maintain mental clarity, stay focused, and feel motivated. According to Mariza, ensuring that your brain is functioning at an ideal capacity starts with your physical health. Three areas she suggests focusing on are: supplementation, nutrition, and usage of essential oils. Every day, Mariza takes the doTERRA Life Long Vitality Pack®, Mito2Max®, DigestZen TerraZyme®, and PB Assist®+. Each of these supplements work together to give the body energy and aid in healthy digestion of food, as well as offer many other cellular benefits. In addition to these supplements, she uses a myriad of essential oils on a daily basis. Some of her favorites are Rosemary, Motivate, Basil, Frankincense, Patchouli, InTune®, and Peppermint. Mariza recommends using these products consistently for best results. Did you learn something new about brain health today? Be sure to leave a comment below and share your insights with a friend! Multitasking, sitting too long and even dehydration and a bad diet can cause trouble focusing. 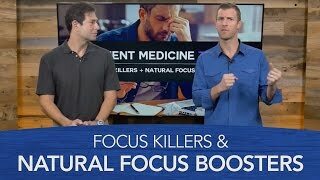 In this video, Jordan Rubin and I are going to teach you the top ways to improve your focus naturally. If you have trouble concentrating on a task or have ADD or ADHD, we’re going over the best essential oils, vitamins, supplements and food to help you concentrate and work more effectively. This video is all about different ways of using essential oils in your skincare. I have chosen lemon essential oil, u can use any essential oil the same way. Glowing Skin: Carrot Seed, Lavender, Frankincense, Tea tree, Lemongrass. Steaming is another method which you can use with essential oil for your skin. But it doubles with 'Inhalation Method' of using essential oils, that's why I have not included here and will include in other methods which I will be sharing in Lavender Oil video. I have explained only the topical way of using essential oils. Will share uses for Hair/Home/Wellness in next video. Best Essential Oils for Anti-Aging | Natural Skin Care With Essential Oils I LOVE to use essential oils in anti-aging. Because you’re using essential oils on your skin, they actually help your skin to re-generate, working deep in the dermis to really really work. 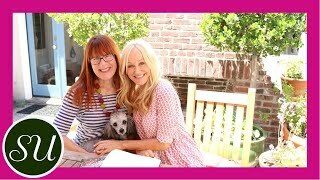 I’m sitting with the lovely Hope Gillerman, founder of H. Gillerman Organics, and she is just really giving us the skinny on the best essential oils for skin care! I loved this nugget of wisdom from Hope: Flower oils are for transformation, and seed oils are for initiating change. How to buy the BEST essential oil? You are ALWAYS looking for a certified organic essential oil. Let me say that in a different way. If an oil is “therapeutic” or “pure” there is absolutely zero guarantee that the oils hasn’t been adulterated (potentially with harmful chemicals or toxins). The only truly authentic, healthy oils are certified organic. How to make your own blend! And add in some rose hip seed and some jojoba, and apply to your skin! And finally, if you love Hope as much as I do, check out SophieUliano.com/hgr to learn about my upcoming Hello Gorgeous Retreat, where Hope is giving an amazing seminar. You can also subscribe to my channel - I post three videos each week! Hey guys! SO many of you have been requesting this video, So I finally made it! hehe :) I hope you guys enjoy it. I LOVE oil cleansing and will never switch back to regular cleansers. It's really helped my acne and acne scars! It's also my favourite way to remove my makeup. ENJOY! (Get 10% off with the coupon code "HOLISTICHABITS"
DIY Essential Oil Recipe that is ani aging. Get a glimpse of my essential oil moisturizer for oily, dry, or combination skin. This little gem in my skin care routine has been a game changer. It is the silkiest moisturizer I have ever used, it totally Rocks!!!! It is so great and full of whole organic ingredients that are meant to nourish your skin. It has many anti aging qualities and just feels awesome. If you come up with a good name for it or if you just want to let me know what you think of it leave comments below. Follow my various Socials and get a little bit if different information on each one. Essential Oils - Skincare & Haircare Benefits |Anaysa We all know the goodness of Essential Oils but you'll be amazed to see how these simple DIY Hacks can solve all your Skin &amp; Hair Problems? All the DIYs shown in the video are 100% natural so you don't have to worry about any side effects. Do COMMENT &amp; let me know if you want to see more such videos and if you have enjoyed this one than don't forget to LIKE it and SHARE it with your friends! NEW UPLOADS every Monday &amp; Friday!! My Essential Oil Blends for Anti Aging! ... NOTE TO SELF: DO NOT EDIT when you CAN'T sleep at night...a few than's when it should be then...Oh well....ENJOY! Hello my beautiful Anti aging friends! I hope this finds you all well....This is my first Essential Oil video...Essential Oils can be part of your anti aging routine OR the only thing you may decide to use...I have no problems with my pores clogging or breakouts from using essential oils...BUT each person is different...educate yourself with essential oils....find out which ones work best with your skin.. I mention several times if your are PREGNANT, have HIGH BLOOD PRESSURE or are Epileptic....YOU must pay close attention and LEARN what essential oils YOU must not use and which ones should be used with caution...Checking with your doctor or someone who is qualified to answer any of your concerns is HIGHLY suggested! I love essential oils...have been learning and using them for quite awhile...I also ( as I have mentioned in a previous video ) clean using only essential oils.. Neck: 1 teaspoon rosehip oil, geranium (rose) 10 drops, Clary-Sage 7 drops, lemon 10 drops, carrot seed oil 20 drops. Blend all ingredients in a dark glass bottle with a dropper top. Eye: 2 teaspoons of rosehip oil, evening primrose oil 5 drops, carrot seed oil 3 drops, lavender 3 drops, sandalwood 3 drops, Vit E oil 5 drops. Blend all ingredients in a dark glass bottle with a dropper top. Body: almond oil 8 full dropper, kukui 3 full fropper, hazelnut oil 3 full dropper, Vit E 1 full dropper, evening primerose oil 1 full dropper, Baobab 2 full dropper, grapefruit essential oil 8 drops, oregano 2 drops, cypress 10 drops, rosemary 10 drops. Blend all ingredients in a dark glass bottle with a dropper top. Hands: 2 teaspoons avocado oil mix in 10 drops carrot seed oil, 10 drops jojoba oil, 10 drops evening primerose oil, 10 drops Vit E, BLEND WELL add Frankincense 1 drop, lemon 2 drops, geranium (rose) 1 drop, sandalwood 2 drops. Blend well in a dark glass bottle with a dropper top. Sandalwood: Soothes, firms and softens the skin. It protects from infection and is useful for acne, scars and wrinkles. Frankincense: Rejuvenates aging skin by improving skin tone and returning dry and oily skin to normal, balanced state. Firms skin and promotes healing. Keeps wrinkles at bay!! Myrrh: Firms skin, helps to prevent tissue degeneration ...it soothes and heals ( chapped cracked skin). Known to retard wrinkles. * Myrrh when blended with geranium and frankincense work as softening agents. Lemon: antiseptic, antibacterial, brightener, may be irritating for sensitive skins. Carrier OIls..there are many...I could not list them all .YT said I talk to much...couldn't fit them...LOL research them all to find out which ones you will want to try! Subscribe it's an Anti ager....Comment I love hearing from you all! CLEAR ACNE FAST! HONEY & ESSENTIAL OILS MASK! Purchase my FAVE Essential Oils & The Starter Kit! BEST & WORST | ESSENCE! How to use Frankincense Essential Oil for Skin Care http://swissultimate.us/sonic In this video we show you how to make Frankincense Essential Oil skincare more effective, using Mesotherapy via sonic infusion or needle roller. *Use code GRACE for 15% off! BELLAMI 3-IN-1 GIVEAWAY WINNER: VANESSA STENGER! Congrats!! Please email me with your shipping address at glowofgrace@gmail.com within 48 hrs or a new winner will be chosen. **Use code AUG2014 for 10% off all Sigma orders! **Use code "GlowofGrace" for $4 off all SL purchases! **Use code "glow5" for $5 off your purchase! **Use code "glow10" for $10 off your purchase! **Use code SPARKLE for 25% off all products! **Use code SparkleKit to get the Dial A Smile Kit for $69! **Use code GRACE to get 15% off your purchase! **Use code GLOW for 10% off your purchase! - This is my natural hair color! If I were to dye it this color, the shade would fall somewhere in between Natural Instincts Medium and Dark Browns. If you are a business or company who wishes to contact me about reviewing a product, please email me at glowofgrace@gmail.com. FTC Disclaimer: Most products were purchased by me, although some were sent for my review and consideration. However, all opinions are ALWAYS 100% honest & my own. Some of the above links are affiliate links. TIGHTEN SKIN with Essential Oils! My favorite skin tightening and anti-aging essential oils! Patchouli, Myrrh, Frankincense and Neroli oils. Great for new cell growth, elasticity, skin tone and anti-inflammatory. Helps crepey skin, neck and skin around eye area. Great for mature skin! My oils come pre-diluted with grapeseed oil. If you purchase non-diluted oils you should dilute them with a carrier oil before applying to the skin. These can be added directly to body lotion as well to tighten the skin on the body! FADE CREAM: I use a 3% hydroquinone: http://amzn.to/2sEiTvs or a 2% hydroquinone: http://amzn.to/2sUiiKc for 4 months then I switch to a non-hydroquinone fade cream http://amzn.to/2sDRSrZ for 1 month and then back on my hydroquinone product. OR https://skindeva.com/product-category/accessories/ Use code: beautybyanne for 10% OFF entire order and FREE shipping within the U.S! LANOLIN OINTMENT: http://amzn.to/2tWZnhC I put this on my lips every night and no more chapped lips! FTC disclosure: I do use amazon and magic links (I may earn a very small percentage of sales through my links) Thank you to all who use my links, I appreciate it! Fall Essential Oils for Colds, Sore Throats and More With all of the viruses and ailments circulating this winter, it’s no wonder people are searching for the best essential oils for colds. And the flu. And dry skin and sore throats. Cooler months bring a unique set of health challenges. When this time of year sets in, I like to use essential oils as part of my first line of defense. Cold & Flu Fighter | DIY Essential Oil Blend | Semi Crunchy Mama Looking for an all natural cure for a cold or flu? Look no further! I will show you the recipe I use to prevent and treat sickness in our family. It is super easy and only takes a few ingredients! This essential oil blend is a great way to support your immune system when you need it most! It has anti-viral and anti-bacterial properties that help to fight off those nasty germs! Please subscribe to my channel and leave me some comments! I would love to hear from you! I go over some well known essential oils that will hopefully help you and your family get through the cold and flu season as best as possible. Emotional Aromatherapy with Nicole Stevens We all have emotions and all too frequently, experience negative emotions that can be detrimental to perceived quality of life. 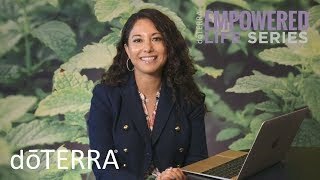 Nicole Stevens demonstrates giving a presentation on the dōTERRA Emotional Aromatherapy™ System, which can help oppose negative emotions, including a brief overview of the science behind aromatherapy. Learn how to use these powerful oils and how to share them with others. Education Series - Emotional Aromatherapy Recording Nicole Stevens presents doTERRA's Emotional Aromatherapy line. How can you tell whether essential oils are fake or genuine? Watch this video to find out my 10 easy ways to spot fake essential oils! When it comes to using essential oils, the internet is full of confusing and contradictory information – are they safe to consume or not? Is it safe to use essential oils in pregnancy? Should we use essential oils on our children? If you’re interested in learning the truth about aromatherapy and essential oils, subscribe to my channel for real, honest and simple advice. WHO IS THE ENGLISH AROMATHERAPIST? I'm a fully qualified aromatherapist with over 12 years’ experience in the beauty and holistic therapy industry. My knowledge has been gained from in-depth training, combined with real-world experience in the workplace. With qualifications in 18 different therapies, I can offer professional advice. As a freelance writer, I have written extensively on the subjects of beauty and aromatherapy — from articles for global brands, to publishing four of my own books. I'm not here to promote any particular brand – just to share genuine, impartial advice! Don't forget to click Subscribe! This is an Aromatherapy inhaler recipe to help you Breathe and Sleep! It’s made with three essential oils that are great for reducing congestion, and for helping you feel relaxed. Their overall effect is to make it easier for you to get to sleep when you have a cold (or allergies, or a sinus infection . . . you get the idea!). An Aromatherapy inhaler consists of a piece of cotton soaked in essential oils. The cotton then goes into a “sleeve,” and a bottom section snaps into place to hold the entire thing together. When you’re done, don’t clean out your small bowl. Let it sit on your counter so the essential oils can evaporate into the air and make the room smell amazing! Subscribe to Aromahead's YouTube channel for updates when I post new recipes! Top 10 Easy Homemade Aromatherapy Gifts with Essential Oils - Christmas 2017 Find out how to make my Top 10 homemade aromatherapy gifts in this tutorial video. All these gifts are QUICK and EASY to make - ideal for beginners! * Always check the precautions before using any essential oils. All products are made at your own risk. I'm a fully qualified aromatherapist with over 13 years’ experience in the beauty and holistic therapy industry. As a freelance writer, I have written extensively on the subjects of beauty and aromatherapy — from articles for global brands, to publishing four of my own ebooks. Aromatherapy Massage Techniques [Unintentional ASMR] - Step By Step Complete Series We have combined our previous step-by-step Aromatherapy Massage Techniques into one video for convenience. I only feature products and treatments that I like, already use or would like to try. No-one knows how their skin and body will react to a product so although I may like it and love the results, I can't guarantee that you will too. Products and treatments featured on the channel are either purchased by me or sent to me by companies to use in my professional capacity. If a post is sponsored you will be clearly informed. This video and description contains affiliate links, which means that if you click on one of the product links and make a purchase, I'll receive a small commission. This helps support the channel and allows me to continue making videos like this. Thank you for the support! InnoGear® 300ml Aromatherapy Essential Oil Diffuser Wood Grain - REVIEW I love love love love this diffuser. It's a HUGE 300 ML.... that means that it can last up to 6 hrs. WOW!!! That means if you want to run it all day - you only have to refill it 4 times a day. It's super easy to use. I love that it changes colors, or you can select which color you want. There are three rubber feet on the bottom, so it stays where it should. It's 100% silent too. This diffuser is all plastic so it'll really last. The mist comes out the top. It's a totally great diffuser. History of Aromatherapy (Part 1) Check out part one on the History of Aromatherapy! Here we learn about the use of aromatherapy by Neanderthals, and its use in Egypt and China. Be sure to watch out for Part 2! Top 5 Best Essential Oils for your Aromatherapy Diffuser Ever wonder what are the best essential oils for your aromatherapy are? Watch this short video to learn more. Use the code KAYLEIGHKILLTEN for 10% off your order! MONQ is an organic, natural, tobacco free, nicotine free, way to experience the benefits of Aromatherapy. Simply open a MONQ and breathe in the Therapeutic Air that your MONQ diffuses. They offer 7 blends, each of which provides an amazing effect, like relaxation, or an energy boost. If you're still down here, comment "LOL SO FUNNAY!" What Are Your Aromatherapy Career Options? I’m often asked for advice about how to start a career in aromatherapy. If you love essential oils, you might have wondered about the possibility of turning your passion into a career. Watch my video to learn more about various career options in the aromatherapy industry. Hi poopsies! I’m featuring a product by MONQ called Sleepy MONQ, which contains Lavender, Lemongrass, and Valerian, to assist in sleep. It is not a vape, not smoking, not an e cig, contains no propylene glycol, no tobacco, no nicotine, and no artificial flavors. It is a recyclable diffuser that promotes mood change & various effects through their custom blends of essential oils & the ancient practice of aromatherapy. Just pick how you want to feel, and breathe into it as the eclectic blend of oils and wild plant extracts works in your body. Available in 7 different blends, all of which are organic and natural! I’m just doing some ear to ear blowing as I use the diffuser, and breathe into the mics, while whispering through the entire session. This is a sponsored video brought to you by MONQ, big thanks to them. Bath and Body Works Haul - Candles and Aromatherpy Deal of the Days Thank you guys for watching my video! It means a lot to me. Don't forget to thumbs up this video and subscribe if you haven't already. I am no way being sponsored or anything for this video. Zen Home - Luxury Green Home Cleaning Services The Zen Home Cleaning Experience. Zen Home cleanses and purifies every niche and corner of the home with signature, safe, eco-friendly cleaners. Zen Home is renowned for their signature amenities like apartment aromatherapy, where essential oils such as lavender, jasmine, and lemongrass are diffused throughout the home to cleanse and purify the air. And at each cleaning, a lavender bed mist treatment is applied to freshly changed linens, and organic chocolate and herbal tea is left on the pillow. Proudly serving New York and San Francisco. How to Make RELAXING SPA AROMATHERPY AT HOME - Zen Home Tips Zen Home's eco friendly and easy-to-make at home aromatherapy for bath relaxation. Zen Home cleanses and purifies every niche and corner of the home with signature, safe, eco-friendly cleaners. We are proud of our green roots and love to share the virtues of sustainability with our clients — contributing to their overall well-being and promoting a peaceful co-existence on our planet. Our Cleaning Consultants are meticulously trained in the non-toxic, eco-friendly nature of our services and products and their professionalism and the attention to detail allow for a harmonious relationship between our company and our clients. Subscribe to our YouTube Channel for more helpful Green Living Video Tips. Greenair Spa Glow diffuser, choose from 3 colors or rotate all 3, diffuse with or without the light on, one touch, diffuses 6 hours! Massage Therapy : What Is Aromatherapy Massage? An aromatherapy massage can be any style of massage, whether it be Swedish, deep tissue or shiatsu, that utilizes essential oils in conjunction. Experience an aromatherapy massage, which affects the physical body, mind and emotions, with advice from an experienced massage therapist in this free video on massage. Aromatherapy http://www.coffeytalk.com Lissa Coffey visits the Four Seasons Spa in Westlake Village, CA to learn the basics of Aromatherpy. I don't know what I was expecting but this necklace is really nice. For some reason, I thought the little felt pads already had a scent on them. I didn't know that you put whatever scent you want on the pads. This necklace is the complete package. It came in a beautiful, velvet, padded jewelry case. They also included a jewelry cleaning cloth. There are 10 felt pads. The colors are 2 light blue, 2 light pink, 2 yellow, 2 dark red, 1 black and 1 white. There is also a very cute Tree of Life Thank You card with an envelope. The necklace is really unique. It is an eye-catcher. The chain has a 2 1/2 inch extender on it. The loop, that the chain fits through, on the top of the diffuser is made onto it. There is no twisting or turning of the diffuser. It is so disappointing when you buy a beautiful necklace and you have to keep turning it to the front to show the face of it. With this necklace, it is not an issue. The diffuser has a little indent on its side. You just put a fingernail in it to open it. There are tiny magnets on the top and bottom that keep it tightly sealed. You don't see any closing hooks around the edges. It is smooth all the way around. The felt pads fit perfectly. You don't have to shove any edges inside of the diffuser and the pads are thick enough that they can hold a lot of scent. You can wear this necklace without any scents and just use the pads for color. It is a very versatile piece of jewelry. This would make a great gift. It is so different and quite a conversation piece. I am really delighted with this diffuser and I definitely recommend it! How to Add Essential Oil Blends to Your Mood Disc It’s time to get whiff it and boost your mood with the new Mood Ology Collection by Origami Owl. Here’s how you add our 100% pure essential oil blends to your favorite Sentiments Living Locket with Mood Disc to brighten your day. How To Smell Good Naturally: Best Essential Oils for Odor On today's episode of Ancient Medicine Today, I'm sharing with you how to make your own homemade deodorant plus the best essential oils you can use to help you smell amazing. coupon code: MicheleFans10, minimum purchase $20, expire Sept 30th. This is not a sponsored video. Description may contain some affiliate links. What kind of videos do you want to see on this channel!? 7 Easy Essential Oil Uses & Hacks New to essential oils? Here are 7 easy ways to use essential oils in your home! I've been obsessed with essential oils and having fun learning how to use them in as many ways as I can. Whether you're an essential oil beginner or essential oil expert, you might get some new ideas from this video. On my essential oil collection: I started with a beginner's kit of 6 essential oils. Then I started researching MUJI essential oil blends and bought the ingredients in those blends from Amazon (thrifty ol' me... lol). Start with the most common/versatile oils and then explore new ones you think you'd like! NOTE: Certain essential oils are not safe if you have dogs, cats, other pets or small children. Always do your research on the specific essential oil you are looking to use! Also, always buy high quality, therapeutic grade essential oils. You don’t want to cheap out on them! Dangers of Essential Oils: Top 10 Essential Oil Mistakes to Avoid Essential oils have been shown in studies to have very few negative side effects or risks when they are used as directed. But given how popular essential oils have become in recent years, and how many different brands of oils are now available, it’s not surprising that there’s some growing concerns regarding essential oil safety. On this episode of Ancient Medicine Today, I'm talking about the top 10 mistakes people make with essential oils as well as internal use, topical use, and aromatic use. 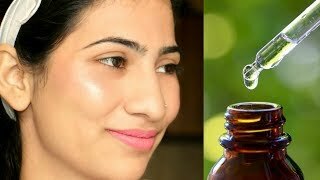 6 Essential Oils For Beauty - 6 तेल बढ़ा सकते हैं खूबसूरती - Beauty Tips in Hindi By Sonia Goyal #120 Know about 6 essential oils that can surprisingly enhance your beauty. These essential oils are used across the world by beauticians. फेस केयर के लिए 6 फेशिअल ऑयल्स और इनके उपयोग हिंदी में देखिए. These are top 6 essential oils for skincare used by beauticians across the world. 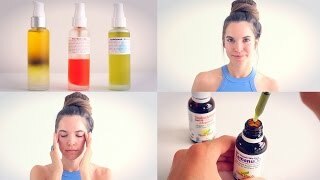 This essential oil skin care video helps you to get beautiful, flawless, glowing skin by treating acne, dry or oily skin, wrinkles and even stretch marks! Hence, these are 6 best essential oils to keep your skin Gorgeous. Yes friends, essential oils are all the rage for good reason—you'll get gorgeous skin in seconds. Our beautician Sonia Goyal tried and tested these 6 most beneficial essential oils for skin care, and hence we are excited to share their various uses for skin care to obtain beautiful glowing skin. Watch this video for suggested methods of using the essential oils in skincare and get the advantage of this knowledge to turn your dull skin or dry skin or the skin with acne to glowing skin. Watch beauty tips in Hindi to know about 6 facial oils and their uses by beautician sonia goyal. Facial oils are highly concentrated plant and flower derivatives that are potent with medicinal and beauty benefits. फेस केयर के लिए 6 फेशिअल ऑयल्स और इनके उपयोग हिंदी में देखिए. Watch this youtube tutorial to get 6 amazing beauty tips in hindi. These beauty tips will make you understand about 6 different facial oils and their uses by which you will be able to treat your many beauty problems such as pimples, acne scars, dry skin. You can also get glowing, soft and flawless skin with these facial oils. Facial oils are an excellent way to get antioxidants and vitamins quickly into the skin as they absorbed quickly, and soften the appearance of fine lines. Facial oils are loaded with essential fatty acids and act effectively to heal and nourish the skin to give you clear and nourish your skin with intense moisture. These 6 face oils are good to obtain naturally clear, flawless skin. These face oils can be used on their own or mixed with each other or mixed with other ingredients in a blend that best suits your skin needs. These top 6 essential oils for skincare also make a great addition to your skin oil blend. 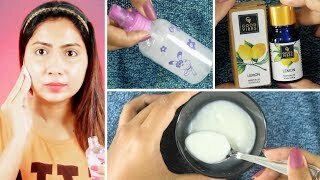 When you will use these beauty tips shared here in Hindi in this video to let you know the 6 essential oils for beautiful skin, you will realize that maintaining your beauty is now so easy. We hope, you will share this video with your friends on Youtube, G+ and Facebook for their benefits so that they can also encash the beautiful advantages of essential oils. In this video, Teresa will demonstrate how to use the L’Occitane Divine Oil and the award-winning L’Occitane Divine range to do an anti-ageing facial massage. ST: So firstly oils, generally women are quite scared of oils because they think they’re going to make their skin greasy. How can we be less afraid of using oils in our skincare regime? TT: So I think mature women can use more. When I say more, I mean in the morning and the evening, they can use it by itself. Or maybe even under the moisturiser if they want more of a dewy finish or like that nourishing feel. I’m not the typical facialist where you stick to cleanse, tone, moisturise, exfoliate, mask. I feel that people have different days – they might be feeling dry, they might be feeling dehydrated so they want nourishing creams. Various ways of using the oil, as I said before, would be under a moisturiser, as well as a moisturiser or just by itself and I think that people’s daily routine can change. - When cleansing, Teresa tends to opt for a cream cleanser as it feels nice and more comforting on the skin. It also moves around the skin easier. - Once the cleanser is applied, Teresa takes it off with some wet cotton wool by moving the wool upwards and out. - Next, blot the skin. - Traditionally, a toner would be applied. Instead, Teresa used the L’Occitane Divine Lotion, £42 (http://bit.ly/1stJzgr). While it’s similar to a tone, it’s more nourishing and helps to get rid of any residue from the cleanser. - Then, reach for your facial oil. Teresa used the L’Occitane Divine Oil, £68 (http://bit.ly/ZQPyPy). Dispense around three drops and massage the oil into the skin by moving your hands upwards and out, preferably towards the lymph. Don’t be afraid to be too firm – you don’t have to drag the skin to lift muscle. - Next, get your cream. Teresa used L’Occitane’s Divine Cream, £64.80 (http://bit.ly/1usuRWX). You don’t need too much as it’s so rich. Starting from the neck, massage upwards and outwards. - Last but not least, grab L’Occitane’s Divine Eye Cream, £48 (http://bit.ly/1rm5Glo). This is an extremely important step and lots of people tend to miss eyes out of their skincare regime. Use your ring fingers, as they’re much lighter. A lot of people apply eye creams the wrong way round. Move your fingers gently in circles and drain into the corners of the eyes. - Perform this massage daily with a facial oil. Here, we have used L’Occitane Divine Youth Oil, £68 (http://bit.ly/1stLDFf). - Place 3 – 5 drops of oil in the palms of your hands. - Smooth oil onto the skin to awaken it, using gentle upwards movements across your face and neck. - Invigorate skin to boost circulation, using gentle circular movements across your face. - Finish your facial massage, with gentle upwards and outwards movements. - Use SPF all year around. Opt for a 30 as sun protection and not when it’s included in a moisturiser or foundation so that it has the high protection. - Sleep is such an important factor of skincare. The skin is a lot more plumped and refreshed after a good night’s rest. Face Oils - What's Best For Your Skin Type? This is the second part to my Skincare Chat about Moisturizers and it’s all about Facial Oils. These are powerful ingredients that really require a good understanding of which work for what skin type. They are supremely nourishing but some facial oils can be drying and straight up astringent, while others are pore clogging or cause skin irritation, sometimes severe. Continue to keep in mind that we all have different skin and the ability to tolerate different ingredients. The categories are SIMPLE guidelines for you. A lot of these oils have multiple uses and fall under more than one category like the oils in the anti-aging one which can also be for dry skin, oily skin etc. Since my skin can only tolerate certain oils that many others cannot, rather than featuring the oils I use, I would rather explain what is out there for all skin types. This video is purely to help you recognise ingredients in other oil blends out there or moisturisers. Hopefully this can give you a simple guideline to the oils we hear about and see the most in formulations. If you’re using severely drying treatments like Retin A, Peels, astringent or prescription acne treatments, the right oils can really return the proper moisture back into your skin. Many oils are also great at reducing inflammation and irritation. I can’t stress enough that when buying oils, you are getting what you pay for. Some oils like Argan are so labor intensive, if you find a cheap bottle out there, it’s over processed and diluted with cheap fillers. These fabulous oils are in a lot of the products I’ve reviewed and mentioned in previous videos so stay tuned, I will do another video with my favourite oil products. Tea Tree Oil *This is an essential oil but wanted to add it here as it is so legit! * Personal favourites - Blossom Jeju Camellia Soombi Moisturizer, Blossom Jeju Camellia Soombi Oil, Tatcha Pure One Step Camellia Cleansing Oil, Tatcha Gold Camellia Beauty Oil. - Mentioned : Shiseido Tsubaki Hair products, Boscia Tsubaki Oils. Jojoba Oil - Great for all skin types! A great balancing oil. All products shown were purchased by moi. All my reviews and opinions are honest and based on my own experience with the products which may not be suitable for everyone. Please watch: "Winter Evening Anti-Aging Skincare Routine | Gothamista"
How to Apply Essential Oils to Skin Hey Everyone! It's your essential oil guide, Jessica Jones! In this quick video you'll learn how easy it is to use essential oils on your skin, or how to use essential oils topically. You'll find that you can make a roller blend of oils that makes for diluted essential oils, or you can simply apply to your skin + smell it for some added aromatherapy! If you enjoy these tips, subscribe to my channel so that you don't miss any of these important tips on how to use essential oils. Hello, I'm Kenneth Gardner, and I'm here to talk about applying essential oils and where to apply essential oils, and this seems to be a big mystery to a lot of people. We're only talking about Young Living therapeutic grade essential oils. I couldn't guarantee the safety and effectiveness of other essential oils unless I were to do a bunch of research. You really can't tell from the bottle. You can always apply essential oils to the bottoms of your feet. If you don't know where to apply them or even if you don't know the benefits you're looking for, put them on the bottoms of your feet. Get them on your body, and they will help you in more ways than you know. You can always diffuse essential oils using a Young Living diffuser. I like being a human diffuser where I'm breathing it in and it's also on my skin and getting right into my body that way as well. I also like to inhale from the palms of my hands or from my fingertips. You can always put a few drops of essential oil in your bath water. The Essential Oils Desk Reference (see separate video) describes all of the application methods. I will concentrate on the topical method, applying essential oils to the skin. There is also inhalation (diffusion, direct, and vapor), ingestion (capsule, rice milk, syrup), oral (gargle, tongue), and 2 retention methods. There are different methods of topical application, applying essential oils to the skin. There's reflexology, stimulating reflex points on your feet, hands, and ears. Other methods are compress, bath salts, massage, and raindrop technique (raindrop therapy). You can apply essential oils anywhere on the skin, but not in the eyes and not dripped into the ear canal, although you can apply them on the ears. Let's talk about dilution, diluting essential oils with the V-6 Enhanced Vegetable Oil Complex. You can also use other vegetable oils like olive oil, but V-6 will be more effective because it's specially formulated to get essential oils into your body. Why would you want to dilute essential oils? (1) To apply them to a larger area (2) If you have sensitive skin (3) For "hot" oils like cinnamon, mountain savory, oregano, thyme, ImmuPower, and Longevity. One of the places for the best absorption is under the tongue, although I wouldn't usually recommend it. I put several drops of Thieves in my mouth a few times a day as a supplement and for oral health, and I use it after oils that don't taste so good, like Brain Power, which works well in the mouth. You can drip an essential oil into the palm of your hand and then apply it wherever. You can also drip it onto location and rub it in. I demonstrate another method here. Besides on the bottoms of your feet and perhaps under your tongue, you can apply essential oils under your nose, on your ears, behind your ears, over the thymus gland, on the back of the neck (the base of the neck and at the hairline over the brainstem), over the seven main energy centers of the body, For specific conditions, you can apply essential oils to specific places, such as on the sinuses, nose, throat, thyroid, chest, lungs, liver, stomach, abdomen, kidneys, joints. You may get faster and better results if you apply oils to specific problem areas even though they travel through the body from wherever you apply them. At the end, you could rub your hands together and also inhale from the palms of your hands. That is how to apply essential oils and where to apply them. My name is Kenneth Gardner, and for more information, please visit OilEvangelist.com. Easy Memory Trick to Dilute Essential Oils for Skin Essential oils shouldn't be used straight ("neat") on your skin. Find out the math to dilute any percentage properly, including amounts for babies, toddlers, and children. You can use coconut oil, olive oil, or any carrier oil, and don't forget the "1:3:1" to help you get it just right! Free printable of the numbers available at http://kitchenstewardship.com/EOdilution. Video sponsored by Plant Therapy. A lot of people tell me they do not want to buy essential oils because they are expensive but the question is can you make them at home. The answer to this is YES! We can make our own essential oil at home and that too without any effort as such. Of course it won't be as concentrated as the ones available in market but its good to use and it feels amazing to DIY your own thing. I simply made infused oil and you can use them easily instead of essential oils which are 1st very expensive and you cannot easily find them. I have shown how to make 3 types of essential oils in the video, clove essential oil, orange essential oil and sandalwood essential oil. You will just need a base oil (which should not be strong), the core ingredients and 72 hours. Measurements to make them are not precise, you can add ingredients depending on how strong you want your essential oils to be. Please watch: "घर पर लिपस्टिक कैसे बनाएं | How To Make Perfect Lipstick At Home | Super Pigmented & Affordable"
Essential Oils 101 | Favorite Oils, Favorite Brands, Must-Haves and More! I am obsessed with essential oils - They are nature's healers (for physical, mental and emotional pain). I swear by them and always keep a complete set in my house. But starting with essential oils can be overwhelming. There are so many brands, they come in every type, they can be really expensive, recipes always call for more than one ... But fear not! I'm breaking down essential oils so that you know exactly what to look for, some of my favorite brands, and the essential oils that every home needs to be complete. If your oils don't have all three, they may not be as pure or healthy as you need them to be. I love Veraditas [http://goo.gl/TVsYtu] and Mountain Rose Herbs [http://goo.gl/vc3RaZ] and can recommend both whole heartedly! Planner Sticker HAUL + Plan With Me ♡ Erin Condren Weekly Spreads! GRWUS + Q&A | High School, Fashion Inspo, Teens Starting YT, Stealing Clothes?! Top 10 Drugstore Products ♡ Holy Grail Beauty Favorites! USE CODE "CIAOSIGMA" for DISCOUNT! BELLAMI 12 IN 1 HAIR TOOLS SET! ORDER NOW AND SAVE $410! USE CODE "meghaircare" for 10% OFF! GET $160.00 OFF - USE CODE "ciaoobelllaxo160"
USE CODE "MEG10" FOR 10% OFF!! Some links above are affiliate links! In today’s video, I want to talk to you about essential oils for weight loss. So many people want to burn fat and lose weight fast in a safe way. Essential oils alone can’t get you to lose 20 pounds, however, it helps support your body in losing weight. There are three main essential oils that can help your body in weight loss. The number one essential oil is grapefruit oil. It helps to activate enzymes in your saliva that help your body break down body fat. The oil of grapefruit comes from the peel, which helps support metabolism and cleansing of your lymphatic gland. The second essential oil to support weight loss is cinnamon oil. Cinnamon oil helps regulate blood glucose levels and GTF (glucose tolerance factor). The third oil that helps the body with weight loss is ginger essential oil. Ginger reduces sugar cravings, reduces inflammation in the body, and improves digestion and absorption of nutrients. This process supports cellular energy, which in turn, helps with weight loss. If you’re looking to lose weigh with the help of essential oils, I would recommend grapefruit, cinnamon, and ginger essential oils. You can diffuse it or apply it topically with coconut oil. The Top 10 Essential Oils and Their Uses | Beauty Junkie Essential oils can be great for your health, skin and hair if you know how to use them properly. I'm breaking down what each of these popular essential oils does, plus how to effectively use them for the most benefits. Just remember: when applying to your skin or body, always test a patch on your wrist on behind your ear. If you think you're pregnant, but sure to research if essential oils are okay to consume or apply. POPSUGAR Beauty is a guide to everything a beauty guru needs, delivering fresh makeup tutorials tutorials, beauty tips and product reviews! Learn insider tricks from our beauty reporter Kirbie Johnson, celebrity makeup artists, hair stylists and more. We've got everything from hair tutorials, nail art tricks, skin care tips, and more. Thought about trying essential oils before? Here's everything you need to know about getting started with essential oils, including tips, tricks & recipes! Essential Oils 101 / Part 1 / Young Living Everyday Oils Review Hey guys! This is part one of a two part series- Essential Oils 101. I tell you all the basics of EO's like what they are, how to use them, and then review 10 different oils from the Young Living Everyday Oils Pack. I'm NOT an expert on Essential oils, I've only been using them for three months- but this is what I've learned so far! Welcome to The Natural Life! I'm Laura and I am passionate about living a natural, healthy lifestyle but especially when it comes to beauty, the home, the food I eat, and my health. I am finishing up my Master's Degree in Health and Nutrition Education. Disclaimer: The purpose of my channel is to spark interest and dialogue about natural living. I hope that this will be a community of encouragement for those with chronic illness. Any supplements mentioned are purely my opinion. These videos are to inspire individuals to be their own health advocates and are not to be taken as medical advice. Please see your medical doctor or holistic practitioner for advice about which nutritional supplements may be beneficial to your health prior to starting any product. Our Therapeutic grade essential oils have been "the" choice of tens of thousands of people. All over the world that understand the value of essential oils for maintaining your health. Essential Oils 101: Rosemary Looking for a terrific multipurpose essential oil? Then you need to check out rosemary oil! Rosemary is an anti-fungal, antibacterial, anti-inflammatory, analgesic...just to mention a few. Use it in skin and hair products to treat issues such as acne, eczema, dandruff, and dry or oily skin. Rosemary is also helpful in treating respiratory issues, like bronchitis, as well as sinus problems. You can even use it to treat headaches or arthritis. To learn about some other uses, check out my video!!! If you are looking for a trustworthy company to buy essential oils from, two that I trust and use are Mountain Rose Herbs www.mountainroseherbs.com, and also Plant Therapy www.planttherapy.com. From all the research I have done, these are two trustworthy sellers! Please leave a comment with any questions or to tell me some of your favorite uses for this oil! YOUNG LIVING ESSENTIAL OILS 101 WEBINAR If you've wanted to know the basics about Young Living Essential oils for healing & overall wellness, this is the webinar for you! :) Thank you so much to Kami Bear for recording this webinar for all of us! It is SO informative and helpful!!! Premium Starter Kit - $150 and includes home diffuser, 10-5ml oils in the everyday oils collection (the most popular oils), 1-5ml stress away oil, 2 samples of Ningxia Red, 10 sample packets, and informational packets! 2) Be sure that "wholesale member" is checked. (I highly recommend signing up as a wholesale member so you always get the 24% off of your oils AND this is how you can get the premium starter kit for the $150, which is about a $350 value as a retail member). 5) Choose a username and password & be sure to write this down as it will be how you place future orders and check shipping labels, etc. 6) Under Step 2, check "premium starter kit" (should be $150), which is the first kit listed. You CAN choose something else if you would like, but I think the premium starter kit is a great place to start! 7) You CAN choose essential rewards at this time if you want, but it is totally optional. If you do, you will be required to order 50PV (which is about $50 per month), but you can totally skip this and you can choose to do it later if you find you want to purchase more oils or if you want to reap the benefits of it. If you do not want to do that at this time, just choose the "no thank you" box. Rose Water Face Mist Freshen up throughout your day with a shpritz of our DIY rose water -- refreshing and relaxing aromatherapy at your fingertips! We want to help you find better health and wellness through some of God's greatest gifts - Essential oils. Did you know that all drugs are chemically engineered to do what plants already do? So why not start where it all begins-essential oils. I have been using essential oils for over 3 years now. I have to admit I was skeptical at first as I am sure many of you have been. But after experiencing them first hand and using them on not only myself, but also my husband and two boys. We are hooked and will never go back. I don't know how we lived without them for so long. I know I don't have all the answers, but I invite you to journey with me as I learn. The Aromatherapy Apothecary - The Mind and Body Connection Using essential oils to balance our emotions. An Introduction to Protea Aromatherapy Protea Aromatherapy was started by June Chase in 1995. She offers a range of holistic treatments including Indian Head Massage, Reflexology, Reiki and Hot Stone Massage. Experience Private Home Yoga Aromatherapy Personalized luxury healing experiences in the comfort of your home . . .
. . . to help you get through your medical condition in style. Medical Aromatherapy by James Geiger MD, the oilMD Medical Aromatherapy as Integrative Healthcare. There are very many health benefits to be gained with the implementation of essential oils from plants into the management of medical diseases. This presentation, by a board certified anesthesiologist, who is also a clinically certified aromatherapist, using essential oils in the operating room, describes the science of aromatherapy.Current medical journal articles and abstracts are discussed in great detail, including bacterial quorum sensing, biofilms and synergy with antibiotics. Aromatherapy with doterra Massage with Essential oil "doTERRA" or doTERRA 's AromaTouch technique is a clinical approach to applying essential oils along energy meridians and visceral contact points of the back and feet to help balance sympathetic and parasympathetic nervous systems of the body. ASMR Aromatherapy Smell-O-Vision: Binaural Experiment With The Power of Suggestion & Your Senses Smell-o-vision, anyone? This experimental ASMR video features: tapping, scratching, ear to ear whispering, soft speaking, liquid sounds, spray sounds, crinkly-crunchy sounds, and hopefully it can trigger your sense of smell as well as your ASMR! I wanted to see if the power of suggestion, sight, and sound, could translate scent through video. I chose scents that are supposed to help your mind and body. I don't know if this was a foolish endeavor, but I had fun doing it! Happy Viewing! Golden King Development Co., Ltd.
How To Make Aromatherapy Room Spray: Eucalyptus Room Spray - Episode 3 Have you been around someone sick with the cold or flu? Try this aromatherapy room spray to cleanse the air and knock the germs down. The essential oil, Eucalyptus radiata, is highly antiviral. Mist the room spray into the air at your office, in your bedroom, kitchen, family room, car, etc. Making aromatherapy perfumes at home is actually really easy, so long as you have access to the right ingredients. Find out how to make aromatherapy perfumes at home with help from a medically-trained aesthetician, makeup artist and beauty blogger in this free video clip. Series Description: Making your own homemade beauty products is a really fun way to save yourself a great deal of money. Get tips on homemade beauty products with help from a medically-trained aesthetician, makeup artist and beauty blogger in this free video series. Aromatherapy refers to the use of essential oils to promote wellness or address a variety of physical and mental conditions. Essential oils, which are concentrated extracts from specific plants, are typically inhaled or applied on the skin so that their active ingredients can benefit the body. Here's how to use essential oils for aromatherapy. How To Make An Aromatherapy Inhaler In this video, Heather Dessinger of Mommypotamus demonstrates how to make an essential oil aromatherapy inhaler. Emotional Aromatherapy Feelings dictate your decisions. How to Use and Aromatherapy Burner Video How-to guide to use a traditional aromatherapy burner or diffuser for pure essential oils. I would like to say a big thank you to all of you who have been supporting me, sending me so many nice messages and comments. I appreciate you all very much, and hearing my videos help you means the world to me. Thank you for your continuous support, encouragement and motivating messages. In order to show you really how grateful I am, I thought it was time for another very well deserved pampering massage video. In this role-playing video, I will be giving you a very special aromatherapy massage. In the first section of the video, I will introduce you a selection of the best relaxing essential oils, telling you about their origins, how they smell and their beneficial properties. Once you pick out which oil you would like to use, we will continue on to the second section of the video, where I will be giving you a series of very relaxing and calming massages, starting from your back, then to your feet, and finishing off on your head, neck and shoulders. If you would prefer to skip the essential oil selection, you may go to 18:00 to start receiving your massage straight away. This video will include a water fountain and some relaxing music to help you get into the mood and hopefully relax further to fall into a deep and peaceful sleep. I will be uploading both sound files (with and without background sounds) so you can listen to whichever you prefer. Lighting scented candles is a natural, romantic, and relaxing way to perfume your home or room. These wax-based products are also perfect for creating a spa-like atmosphere suitable for end-of-a-busy-day/week de-stressing sessions. Here's how to make aromatherapy candles at home. DIY Aromatherapy Neck Pillow Adrianne shows you how to turn a sock into an aromatherapy neck pillow using rice and essential oils. Make your own in under 15 minutes! 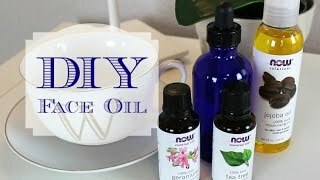 AROMATHERAPY FACIAL Benefits For Stress Relief How to do DIY AROMATHERAPY FACIAL AND ITS BENEFITS. Aroma therapy is also known as essential oil therapy. In this therapy, oils made of various aromatic plants are used in combination to heal and nourish the skin. In this facial we are using lavender oil, orange scrub, lemon grass powder, tea rose powder and Papaya drops. Each of these components have a unique benefit for the skin. Lavender oil is rich in anti-septic and anti-inflammatory properties which prevent acne breakouts; it relieves from tension and stress thereby preventing appearance of wrinkles and helps the skin to remain firm. The orange peel extract helps in de-tanning and lightening marks. Lemon grass extract acts like an astringent to the skin. Tea rose oil helps in lightening of blemishes and acne marks and in combination, all these provide you with nourished and glowing skin. For this facial, follow these steps in order of appearance. 1. To start with, clean the face with baby oil using a piece of cloth. This would help remove all the external impurities. 2. Now apply a mix of lavender oil and moisturizing cream on the face. Massage in circular motion for 5 to 10 minutes. Wipe it using a cotton cloth. 3. Take a finger full of orange scrub and use it to exfoliate the dead skin cells. Wipe off with a cotton cloth. 4. For the massage, use a Orange cream and dab it on the face like dots. Now gently massage it on the skin for 5 to 10 minutes. This shall help soften the skin and provide it with benefits of the orange extract. 5. End the procedure by preparing a face pack using lemon grass powder, tea rose powder and few Papaya drops. Apply this paste and leave it on for 30 minutes. 6. Wipe it off with a damp cotton cloth and spray a bit of rose water to the skin. The skin on our face is much more sensitive than the skin on the remaining body and hence one needs to take extra care of the facial skin. Following a regular routine of cleansing, toning and moisturizing is a great practise but at times it just isn’t enough. Our facial skin is exposed to the atmospheric air 24 x 7 unlike our hands and legs and hence the chances of the skin deteriorating are much more. The various particles in the air such as pollutants, pollen grains and dust clog the skin pores and lead to formation of acne. Our skin needs to absorb a certain amount of Vitamin E from sun rays in order to stay nourished but over exposure to sun’s UV rays leads to premature skin aging, pigmentation, sunburns, wrinkles, freckles and in extreme cases, even skin cancer. Facial is a procedure to revitalize and maintain the smooth, soft, glowing skin you possess. The procedure has various steps which involve the following: cleansing, scrub, massage, steam and face pack. These steps are followed in a particular order to yield maximum and optimum results. Generally the skin is first cleansed using a cleanser or lotion to remove the excess oil and impurities from the skin and prepare it for the next step of the procedure. Post this a scrub is gently massaged on the face. The scrub has solid particles or coarse granules which gently remove the tan and dead skin from the face, exposing the soft supple layer for nourishment. The skin is then exposed to steam in a moderate amount to open up the skin pores. It is important to open the skin pores before proceeding as it is only through these pores that skin can absorb the nourishment being provided. A nourishment cream containing various beneficial extracts is used to massage the face for at least 20 minutes to make sure that the skin is given enough time to absorb the nutrients. But just like it is important to open up the pores of the skin for nourishment, it is equally important to close these pores at the end of the procedure, hence a cooling face pack is applied to the skin which not only closes the pores but also gives a cooling effect to sensitive skin. Doing a facial at least once a month revitalizes the skin, betters the blood circulation, relaxes the muscles and removes impurities and dead skin, giving you soft, smooth, supple and glowing skin. Hope you liked this video. For more videos on facials, subscribe to stylecraze. DESCRIPTION: The smell of sweet orange essential oil may have anxiety-reducing properties without the potentially addictive, sedating, and adverse effects of Valium-type benzodiazepine drugs. Lavender may also help for both anxiety (Lavender for Generalized Anxiety Disorder, http://nutritionfacts.org/video/lavender-for-generalized-anxiety-disorder/) and migraines (Lavender for Migraine Headaches, http://nutritionfacts.org/video/lavender-for-migraine-headaches/). Of course eating citrus is good too! I have videos on Reducing Muscle Fatigue With Citrus (http://nutritionfacts.org/video/reducing-muscle-fatigue-with-citrus/) and Keeping Your Hands Warm With Citrus (http://nutritionfacts.org/video/keeping-your-hands-warm-with-citrus/), but Tell Your Doctor If You Eat Grapefruit (http://nutritionfacts.org/video/tell-your-doctor-if-you-eat-grapefruit/). Have a question for Dr. Greger about this video? Leave it in the comment section at http://nutritionfacts.org/video/orange-aromatherapy-for-anxiety/ and he'll try to answer it! If you enjoyed this video please like and share with your friends! DOWNLOAD ITUNES PODCAST Aromatherapy Library TV: https://itunes.apple.com/us/podcast/aromatherapy-library-tv-kg/id988930095 PLEASE If you LOVE the show leave a positive review. It helps others like you who are looking for valuable information about essential oils to find us. Aromatherapy Basics with Kathi Keville: Roses WATCH IN HD! https://www.mountainroseherbs.com/catalog/aromatherapy Aromatherapist and author Kathi Keville shares the uses and herbal history of the beloved Rose as a healing aromatherapeutic plant. From lotions to bouquets, this flower has been used to calm us and to inspire love for thousands of years. Learn about uses for rose essential oil, rose elixirs, creams, and more! Transform any room into your own personal mood enhancing aromatherapy oasis with the Allure Aromatics Aromatherapy Essential Oil Diffuser! With our elegantly designed diffusers, you can infuse essential oils into any setting, and create a spa-like experience anywhere life takes you. The Allure Aromatics Aromatherapy Essential Oil Diffuser uses Ultra-Sonic waves to instantly vaporize water and beneficial essential oils in the tank, to produce a cool, dry fragrant mist. Our oil diffuser products are designed with the highest grade materials available and include advanced ceramic disc anti-oil corrosion technology. Give the Allure Aromatics Aromatherapy Essential Oil Diffuser a try - we know you will love it! So much in fact we offer a 12-month complete product replacement guarantee, no quibbles!! (Package Content: 1 x Aroma Diffuser 1 x Charger adaptor 1 x measuring cup for filling water 1 x User Manual. Note: Oil is NOT included in this package). Tazeka - How Aromatherapy Works Let's learn about How Aromatherapy Works! Visit http://tazekaaromatherapy.com to find out more information about aromatherapy and our Tazeka products. Aromatherapy Blend to Treat Flu Maria Tabone gives us a one time use formula to treat flu with aromatherapy essential oils. Don't miss! The class is a great way to build a solid foundation in the understanding and use of essential oils...and it's completely FREE! Choosing to make beeswax candles is a great alternative to buying commercial candles, which are often made with synthetic fragrances and petroleum-based waxes. In this Aromatherapy how-to video, we will make beeswax candles with essential oils, starting with preparing the jars at 0:30, measuring and melting the beeswax at 1:10, preparing the wicks at 2:10, measuring and blending your essential oils at 2:53, and pouring the candle at 4:52. The basic recipe is 1 ml of essential oil (about 25 drops) for every 1 oz (28 gm) of beeswax. Essential Oils for Beginners with Kathi Keville - PART 1 Watch in HD1080! In this asmr video, expect subtle but tingly glass tapping, soft speaking, whispering, face massaging, personal attention and fanning. What is Aromatherapy? On-staff aromatherapist at Green Valley Aromatherapy talks about what aromatherapy is and how to best use essential oils. Here is a short, informative demonstration of aromatherapy massage techniques. This is a tutorial and should not be performed by anyone who is untrained in the subject. Likewise, only clinically trained aromatherapists should mix oil blends, due to the potency and effects of the oils. Those who are trained in massage (but not clinically) should use pre-blended oils only. Always remember to perform a full consultation and make sure there are no ailments present that prevent a massage first; you want it to be beneficial and it should never feel uncomfortable. Happy massaging! Take a break from the routines of every day life, take care of your health with music. Relax yourself, have a skin rejuvenating massage and beauty treatments with this instrumental music as soundtrack. Buddha Tribe is your online free music provider for your entertainment and relaxation. For you there is free relaxing music and intrumental music video with lounge music, spa music, chillout music, yoga & pilates music for your yoga poses. Find out more international music videos for our public with background music for parties and ambient music for romantic dinners, lounge party music, but also fitness music and relaxation meditation music. Free your mind and play Buddha Tribe!